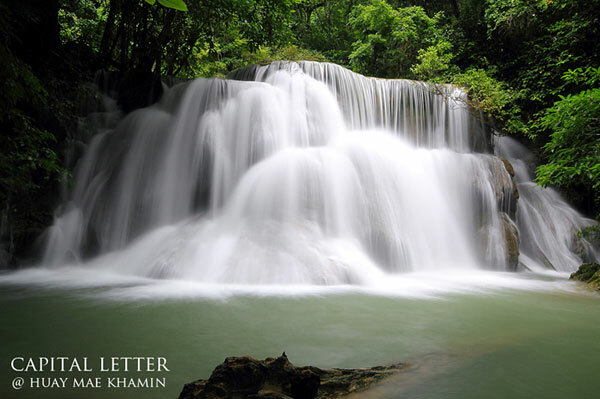 The water source of Huay Khamin Waterfall is at Kala mountain range. 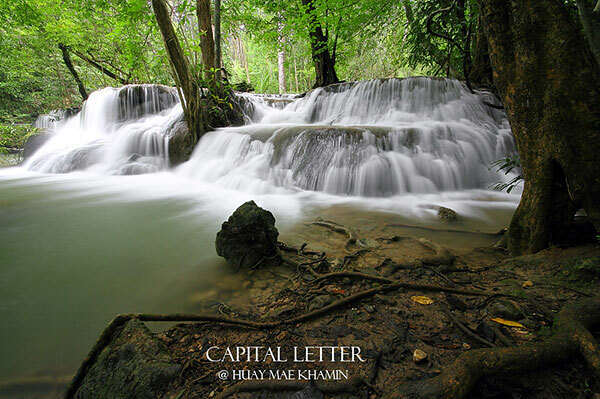 The water flows to Huay Khamin River and then flow to hill. 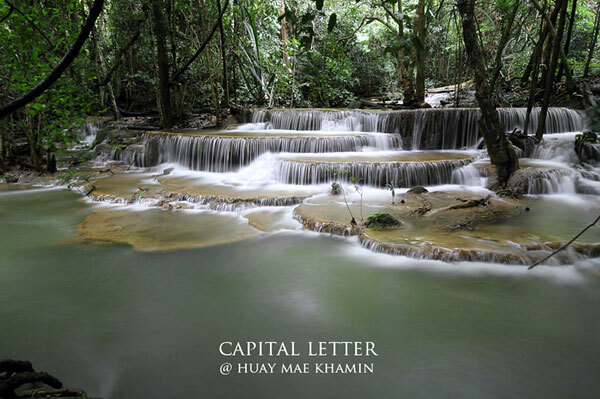 When the time has been past for many and many year, there are multi levels on the hill, which become a beautiful multi-tier waterfall. 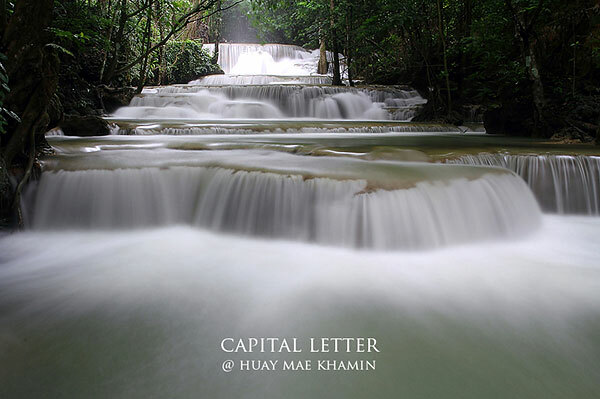 There are seven levels at this waterfall. 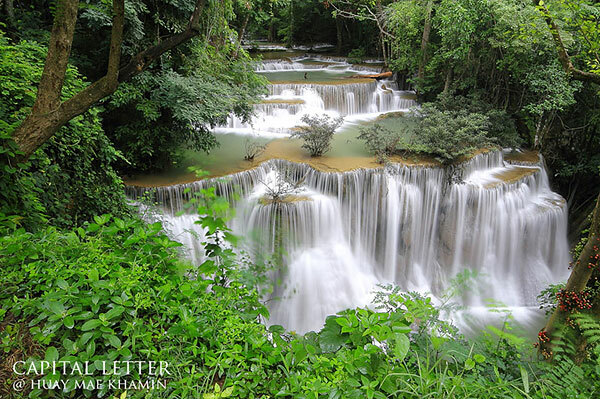 Each level has its own name – Dongwan, Man Khamin, Wangnapha, Chatkaew, Laijonlong, Dong Pheesua and Romklaw, respectively. The length from the ground to the top most level is about 2.2 kilometers, so it would be a challenge for those who would want to climb up from the ground to the top of this waterfall (It would take about 3 hours for this journey). 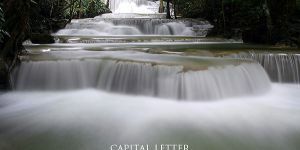 However, the beginning point of the waterfall is not from the first level, but the fourth one, which is from the park. 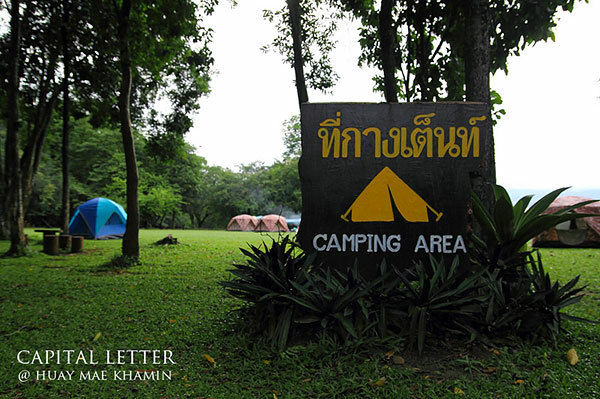 In the area of the park, not so far from the waterfall, there is a tent area for visitors to take some rest. 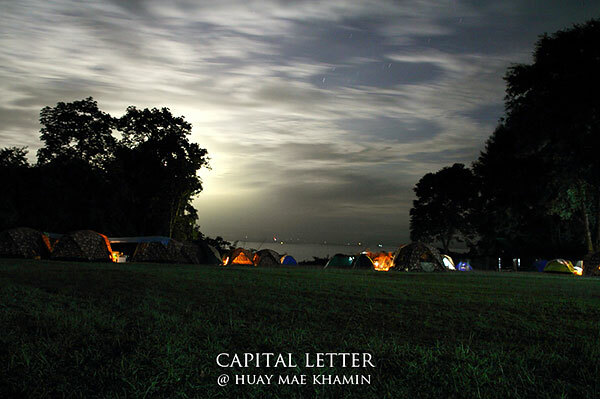 This area is also a good place to see view of Srinakarin Dam. 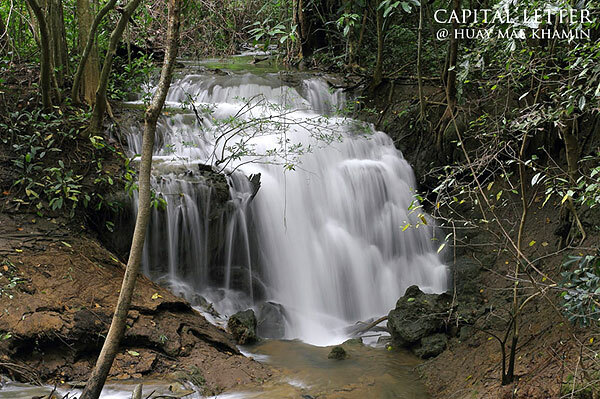 To visit Huay Khamin Waterfall, visitors need to rent a car or motorbike because there is no public bus to this attraction. 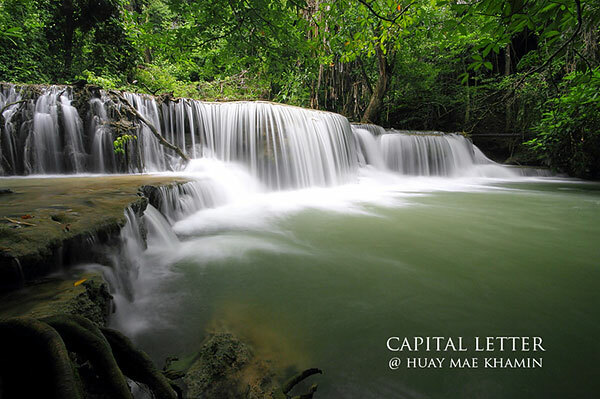 a tourist package may be an alternative choice to visit this waterfall. 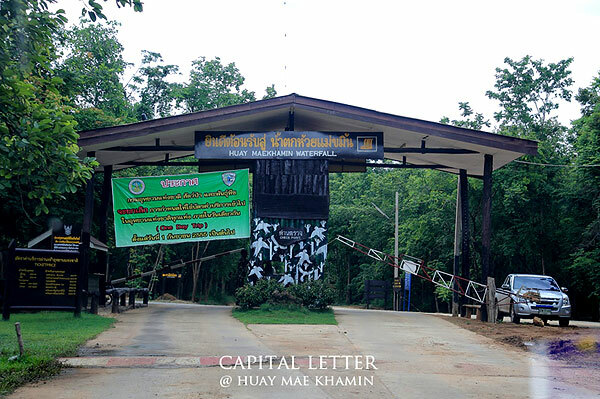 Srinakarin National Park has car park, tent area, toilet, restaurant, and shops. Open from 7.00 AM – 6.00 PM. 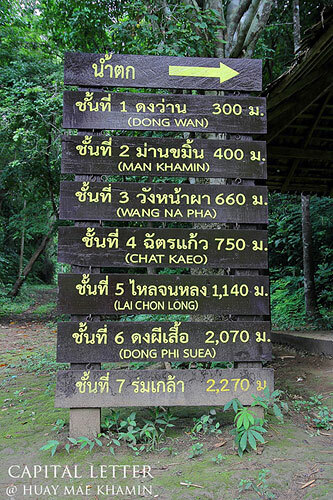 Adult 200 Baht, Children: 100 Baht.